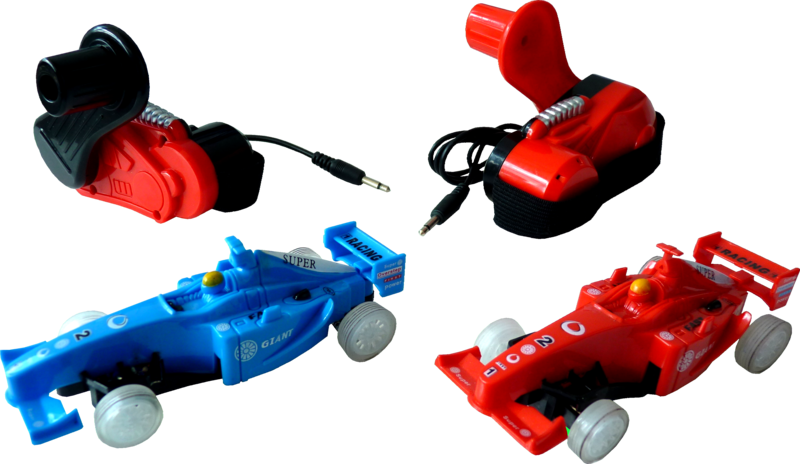 The POWERplus Mustang is a complete racing set which comes with an 3,8 meter track, 2 racing cars and 2 handgenerators. With the handgenerator you can generate energy to power the cars. No batteries, no AC-power. Generate energy manually.